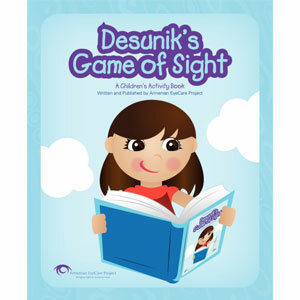 The Armenian EyeCare Project has written and published a children’s activity book — “Desunik’s Game of Sight” — about the eye and how it works. The book targets elementary school children and their parents and teachers and is written to give students a basic understanding of the parts of the eye, how their eyes work and how to take care of their eyes. The book was written by Armenian physicians and will be used in Armenian elementary schools with the imprimatur the Ministries of Education and Health. Children will read the book and perform the activities with the guidance of their teachers and parents. By reading the book and working on the activities with their parents or in their classrooms, children will learn about the structures of their eyes and how they function together to allow them to see. They will also learn the best ways to protect their eyes and how to care for their eyes through proper attention and nutrition. By the end of the book students will have the knowledge they need to care for their eyes and will be encouraged to share their knowledge with family and friends to improve eye health throughout Armenia and to eliminate avoidable blindness. 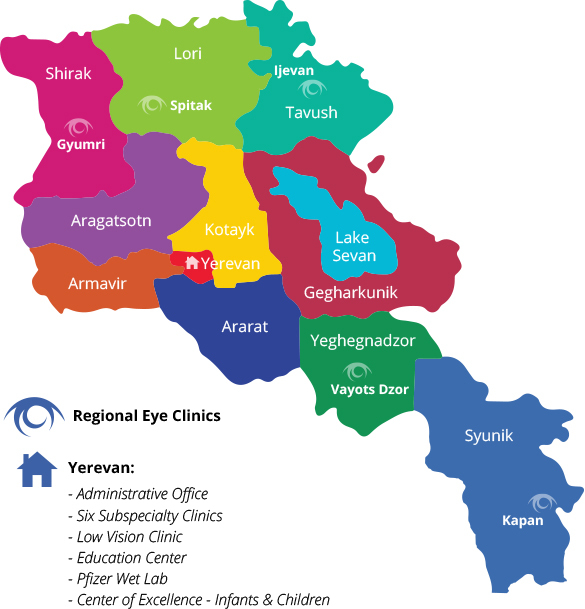 The book is written and published by the Armenian EyeCare Project, illustrated by Reid Peterson, Petersen Creative and available in English and Armenian.